A 3 años de su siembra. Three years after she was sowed – Her struggle and ideals passed on to humanity. Three years after her sowing, the struggle against repressive projects that have been imposed in Honduras through the extractive model – which plunder, kill and provoke violence – has multiplied. 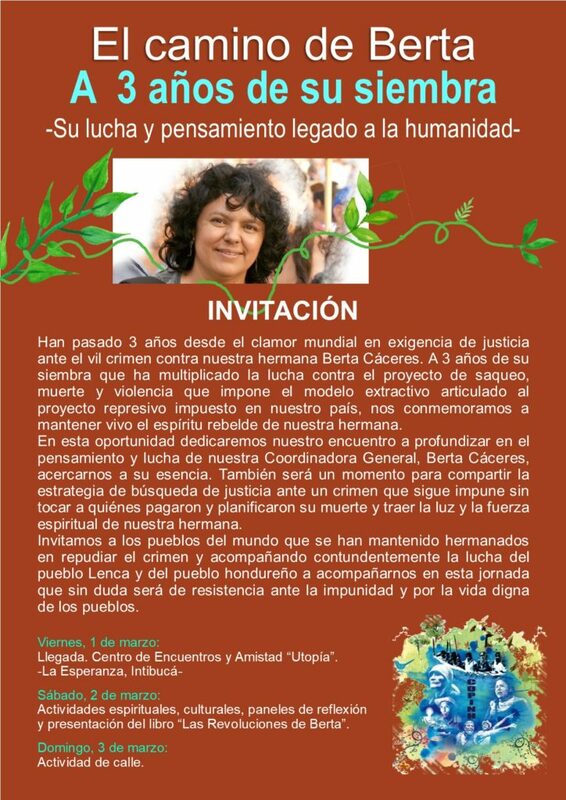 We will commemorate to keep the rebellious spirit of our sister alive. Arrival. “Utopia” Friendship and Training Center. 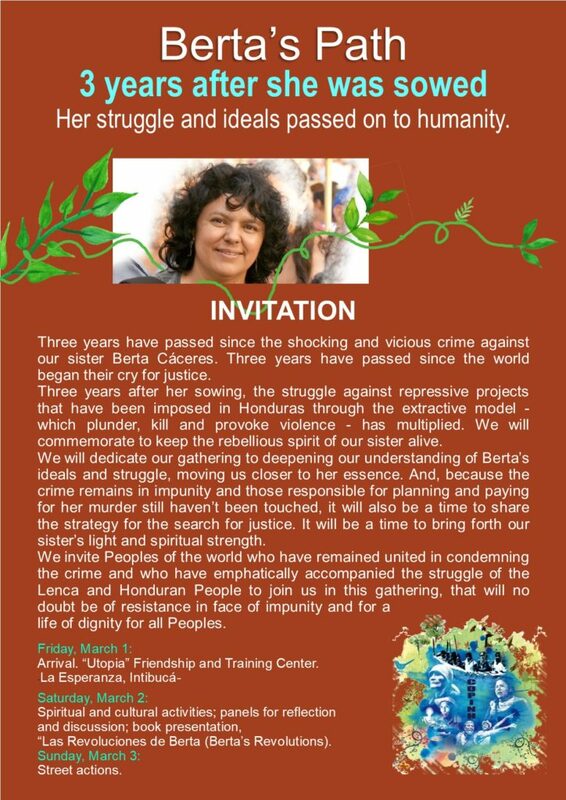 Spiritual and cultural activities; panels for reflection and discussion; book presentation, “Las Revoluciones de Berta (Berta’s Revolutions).